Stunning handmade glass wall clock. 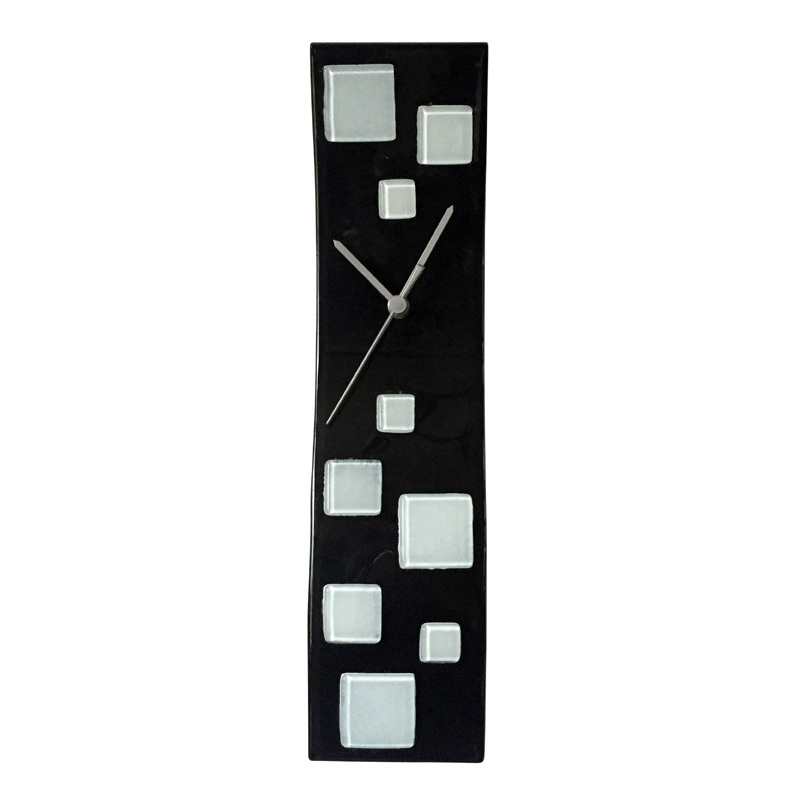 Set in a black glass design with random squared creamy white discs fused on top. 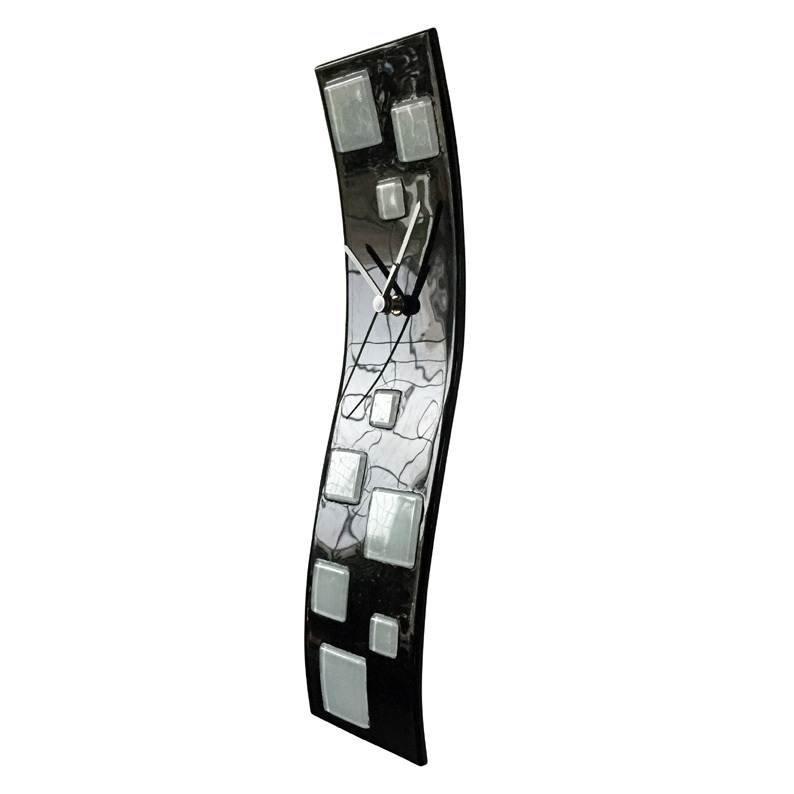 The clock is made in an eye catching and very contemporary slim curving design and has a funky retro look to it. Width is a wide 10cm and length is a nice 41cm.